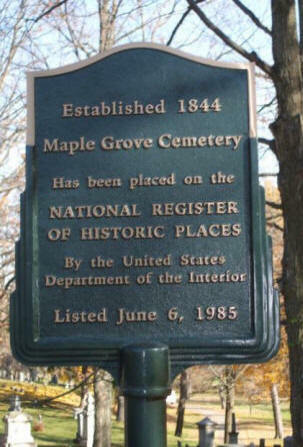 Cemetery is located in Section 5 and 8, at 219 N. Jefferson Street, Vevay Township. Though the address of the cemetery is on N. Jefferson, the entrance on Jefferson Street is no longer open. The only entrance is located on North East Street.